As soon as I saw that Real Techniques had some brand new brushes out, a new set of premium brushes, I instantly knew that I had to get my hands on one of the rose gold ones. They are just so pretty and rose gold is one of my most favourite colours at the moment. 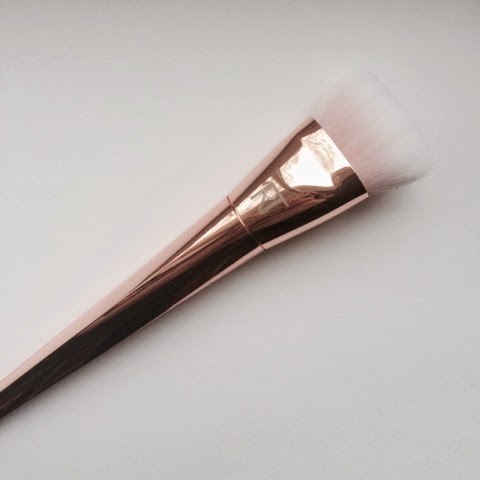 There are seven different brushes within this collection and they come in beautiful gold, silver and rose gold packaging. The bristles of each brush are so soft because they have been made with ultra high grade synthetic bristles and, let me tell you, this brush is so-oft! 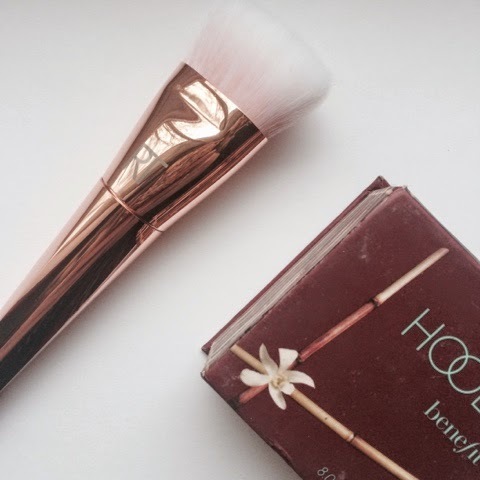 These brushes are also weighted in order for them to sit better in your hand and, in turn, make it much easier for you to do your makeup - which sounds promising. The only off-putting thing about these brushes is there pretty hefty price tag (if you bought the whole collection it would cost you around £130!!). 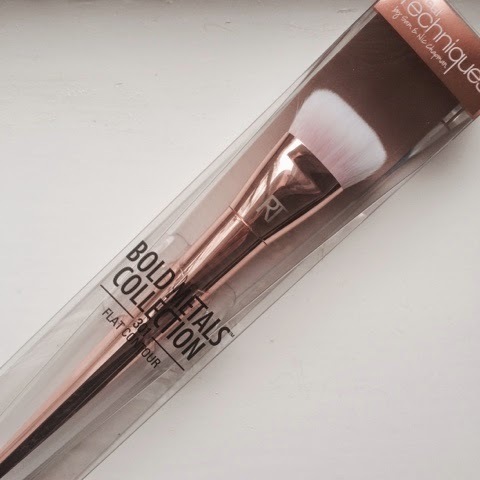 I only let myself purchase one of the brushes out of this gorgeous collection and the brush that caught my eye the most was the 301 Flat Contour in rose gold. I don't own a 'proper' contour brush and this is why I convinced myself that it was a good idea to purchase this particular one from Real Techniques. At first, I did not like this brush at all as the bristles are quite dense and heavy so I found that when applying my bronzer with this brush it was quite hard to blend out and left me with a pretty straight contour line (definitely not the look I was at all going for..). After a bit of control and practice with this brush, I managed to get used to how compact the bristles are and I now really like the way my bronzer applies. 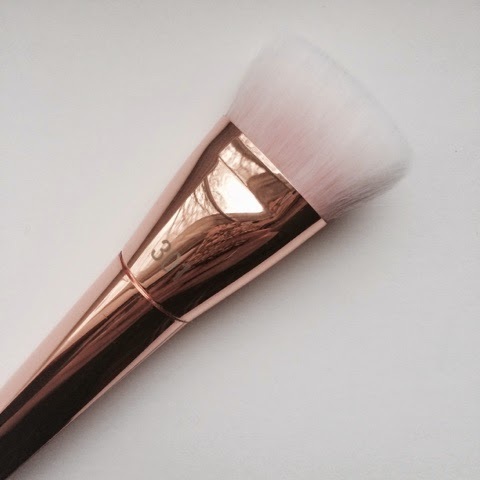 I would definitely suggest using a less pigmented bronzer if you are going to be applying it with this particular brush as I feel you would be able to gain the correct intensity you desire as you could slowly build your contour up, rather than using a more pigmented bronzer and possibly ending up looking like you have just taken a dodgy bath in brown mud! 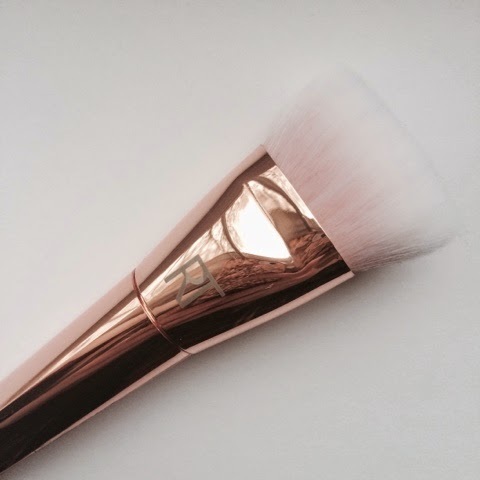 I think that the Flat Contour 301 brush is definitely worth the money I paid for it as you immediately notice the high quality of this brush with the very first stroke and it sits perfectly within the hollows of the cheeks for a flawless and defined look.